Im the creator of [link] and i would urge some of you guys to go check those comics. Wow, is this the beginning of Cyanide and Happiness? Aw, no! The link is broken! Its so random that i LOVE it! If you'd rather not have your work featured in this manner just let me know Otherwise keep up the great work! I hope my feature brings you some new fans! PS - Please excuse the impersonal cut-and-paste message - all a part of time management! I bet it is, I bet it is. 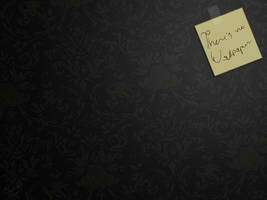 Definitely my favorite wallpaper on deviantART, if not the whole interwebz. IS IT REALLY? I did not know. Yeah, my desktop is cold. It would appear that I just found the beginning of C&H on dA. Randomness feeds my soul... I will definitely use this. yay! I love your comics! awesome! holy hell!!! r u really only 19? damn cool!!! we would read a new one every chance we'd get when i was in high school! so funny! and simple we didnt know they were by a high schooler too!!! damn thats so cool! and your hott by the way! check out my shots!!!! and i still read them all the time!!! Ahaha, Cyanide and Happiness! I love you guys, keep up the good work! Is it a place my favourite comics begun? nice ^^ used it as wallpaper,thx! o___o Nice to know you have a dA accont. Keep being funny. Or whatever. I shivered when I read it. I am going to have to agree. Kris? I think i love you. If i could, i would want to have your babies. Ps: If you think anyone is stalking you, YOUR WRONG!!! Haha. You have no idea how perfect this is for my computer! lol. i love em. Good stuff. Wow. For some reason, I love it. I will certainly check out your comics.